Because of the typhoon and trade wind effects, the temperature has dropped in Taiwan. It was a nice comfortable breezy day. 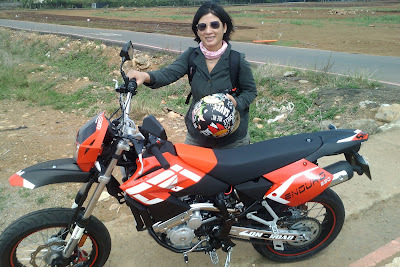 My husband and I decided to go for a short ride with his new off-road bike. 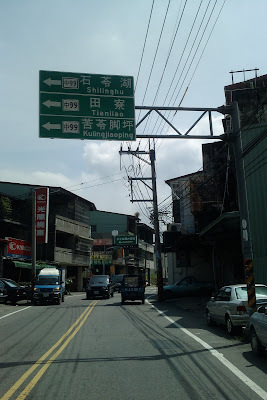 We left the central Taichung to Taiping (east of Taichung) and our final destination was Sinshe area. This is my husband new bike made by CPI. 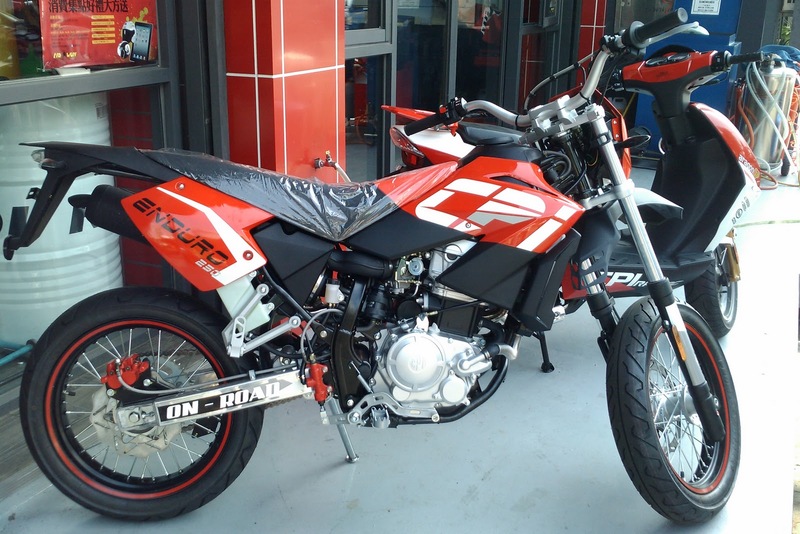 It is a new model. We just got it one week ago. This is my gift from the store owner without any bargaining with her. It was cool on my puppy's head. OF course, I wore it for the ride. Due to the screen limitation, the map doesn't cover our entire route. After we entered Taiping, we rode on Highway 136 which also go to Puli, in Nantou County. 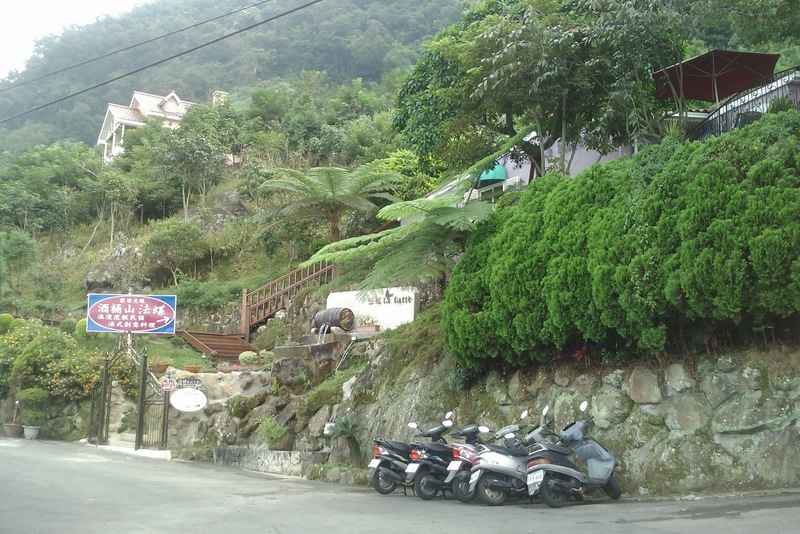 It is a famous highway for bicyclists and motorcyclists for its winding and hilly road with no a lot of traffic. Along the highway, you can see a lot of fruit trees like banana, tangerine, ...and so on. Also, it is next to stream (creek.) You will see people fishing and kids playing in the water; however, it is extremely dangerous if it rains in the mountain area. 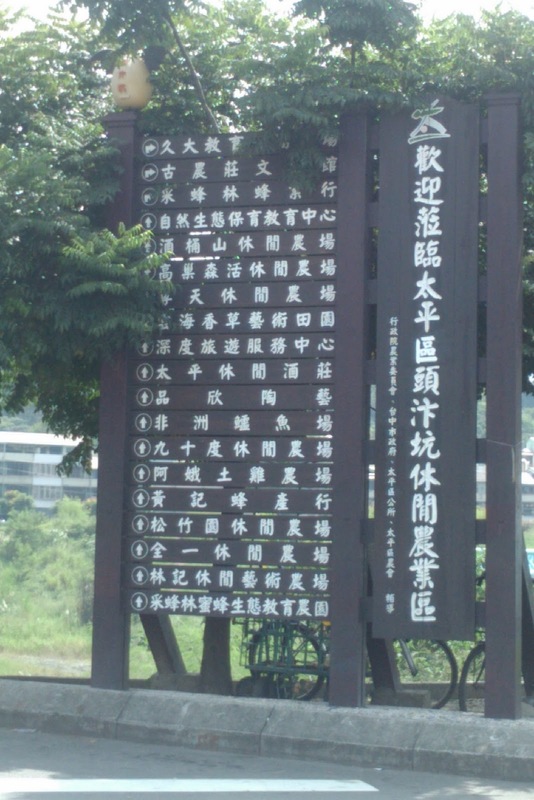 The sign indicates that you are entering Toubenken Recreational and Agricultural Area in Taiping District. 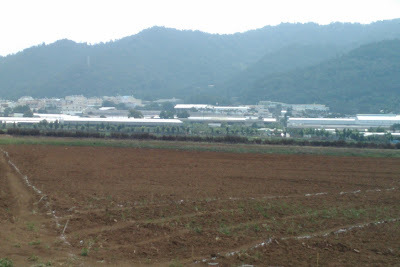 It shows all the the recreational farms that you can go visit. But, the location of the sign doesn't not function well due to the foliage and the traffic situation. You can't see it well and if you dare to stop to see the sign on the green light, the drivers behind you will welcome you with their horns. 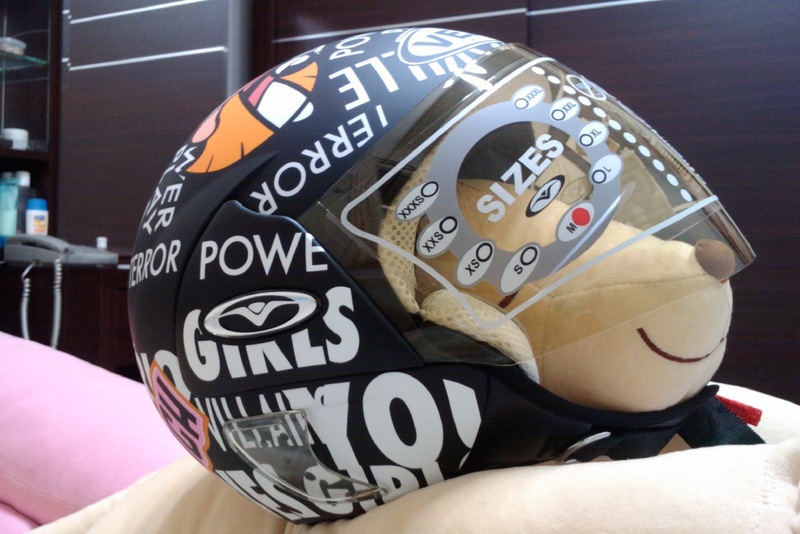 This is parts of the driving experiences in Taiwan or one of the government mentalities. Can you scan your destination quickly in 3 seconds? I know we can't. We had to turn around and go back to stop and take the picture. Last time (2010), my husband studied this area map on Google Earth and then took the road on this road sign to go to Sinshe. After 20 minutes later on the road, we were on a scary and horrible ride. We were lost in the mountain area. The roads were small and damaged with tall grasses and trees were over growing the roads. We went through spider webs and he had to keep his hands on brake. My hands were busy to push away the tree branches which would hit us. This was what we found in the jungle: an ecology park. This probably cost the taxpayer about NT 2-3 million. Will you turn around and go back on the road that you come from? We didn't turn around. But at some point, we might have to. 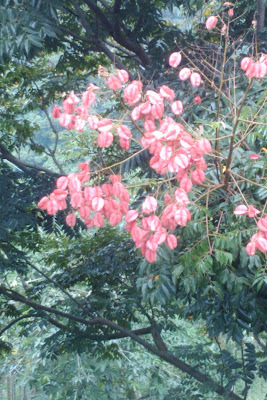 I was very busy taking the pictures and pushed away the leaves. I don't think GPS system is suitable for this area because there are a lot of farm roads that can't be found on any map. Only the locals or farmers know how to go there. Also you have to be aware of the signage system in Taiwan. When we first got lost, we followed the bicycle trail indicator. We were led to no where with a jungle like area. We were just lucky enough for we were very brave and adventures to push on. Of course, my husband had to use his compass in his watch to see our orientation. Finally, we got out of this area. 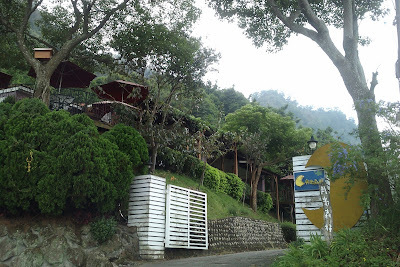 After having our lunch in a coffee restaurant on the top of the mountain, we talked to the business owner about our trip. He was surprised and amazed that we took the unknown road and found our way to his restaurant. This was the sign that led us to no where. If you see this sign, please don't trust it. Otherwise, you will end up just like us. Looking back along the road, the signs are very confusing? After all this excitement, we came across with this sign: "This is a temporary narrow road. Drive carefully. Big buses, cars, and trucks are not allowed." 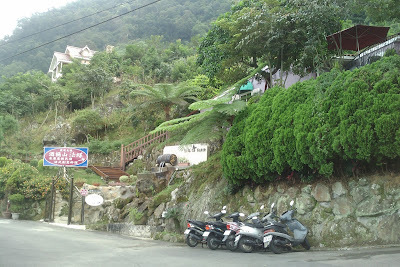 This was the restaurant we ate at and chatted with the owner on our first visit. This time I was in charge of choosing the road to this place and we didn't get lost. Before we reached here, we had to challenge a very steep hill. This time I didn't have to get off the bike. You can see the Taichung Valley from here. People like to come here to enjoy the sunset. Of course, they take a different and better road than we did. This is a French restaurant. A hiking trail head is a few meters away. 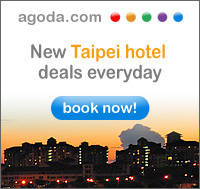 Because of the economic bloom decades ago, people started to enjoy leisure lifestyle in Taiwan. People like to have a cup of coffee or a nice meal with their friends or family in beautiful and remote scenic areas. It encourages the business owners to build coffee shops, restaurants, B&B, ...and so on in the mountain areas. Also the government allowed this to happen. 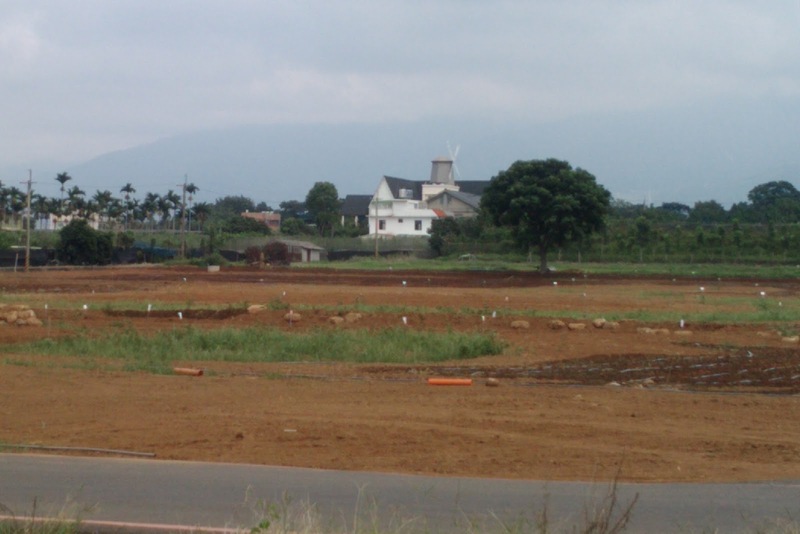 More visitors means more revenue in return for the government; however, it has caused environmental and ecologic damages due to the more road's being constructed in Taiwan. 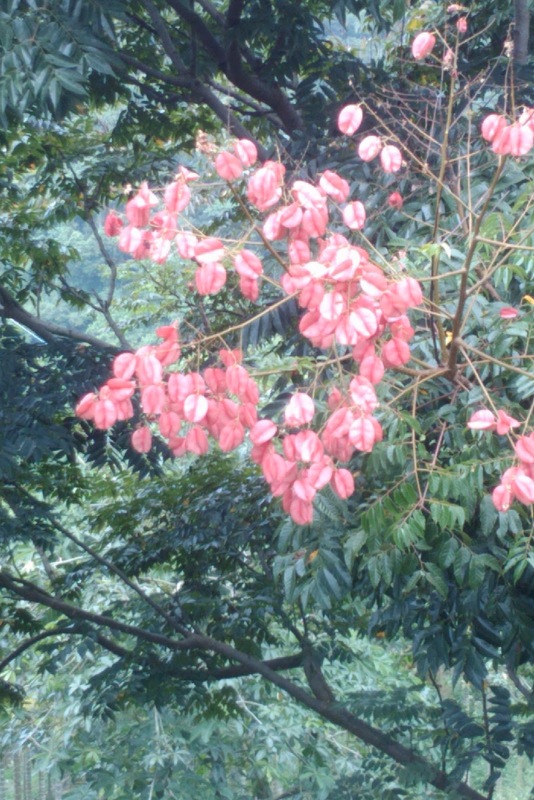 Koelreuteria henryi Dummer was named after a British man, A.Henry, discovered in 1912. 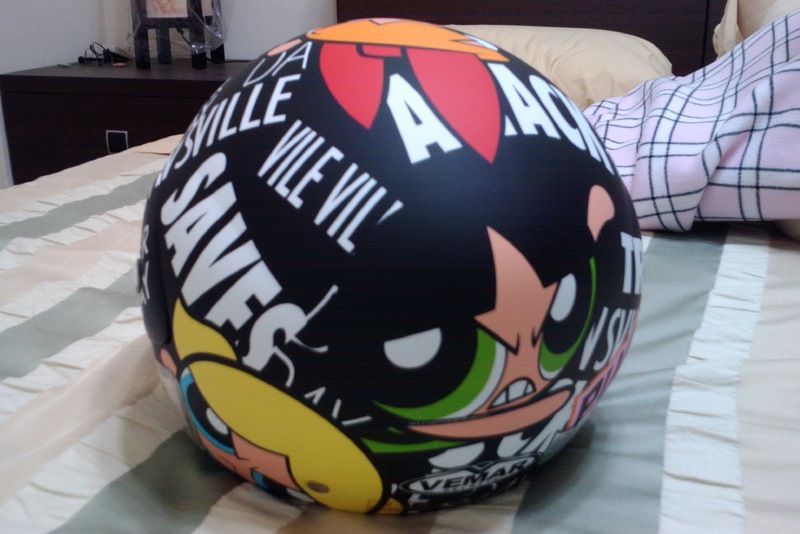 It originates in Taiwan. This is its fruit. Its flower is yellow with the characteristic of flaming gold. Now, it is in the blooming season. This picture was taken last year. Looking back at the coffee shops that we stopped at. We were going down a very steep hill at this point. Our new bike was taking it very well. At the same time I had to hold on to my husband tight. We were arrived in the Sinshe area. These power poles are new with their decorated function. The road is also wider and repaved. You might think what it is so special in Sinshe. It is famous for its agricultural products around this area. The most famous products are mushrooms and the Flower Festival around Oct. or Nov.
We stood next to the flower garden field. 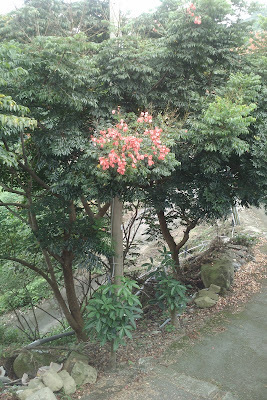 Obviously, it was just planted with flowers for the coming flower festival on the 2nd of Nov. 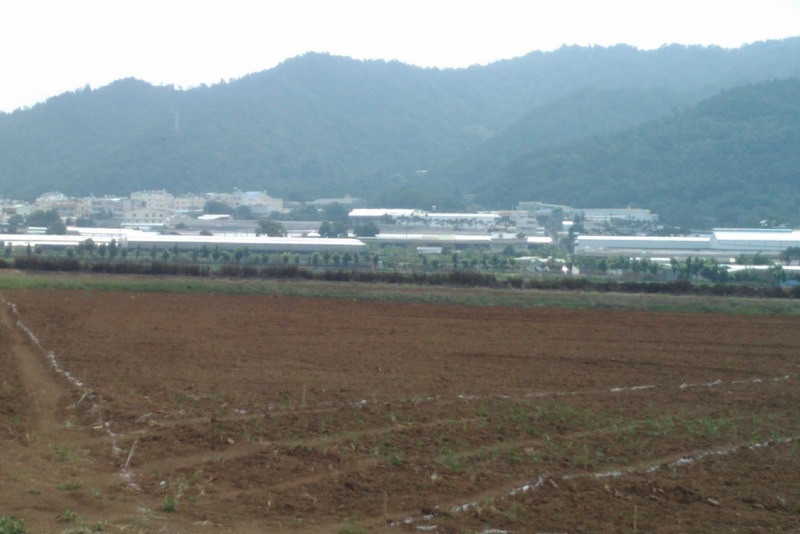 In 1915, the field (60 hectare) was designated for planting sugar canes for research and modification in order for massive production during the Japanese governing period in Taiwan. 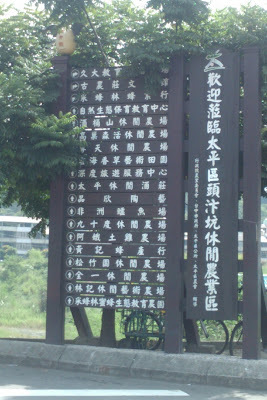 After Japan left Taiwan in 1945 till now, it still serves as for the purpose of agricultural research and modification. In 2005, the agricultural institute planted 30 hectare of various flowers for the purpose of fertilization. It was the first place to plant such massive flowers in Taiwan. The words has spread and it attracted crowds to enjoy the blooming flowers. It bought a great economic return to this isolated small area. 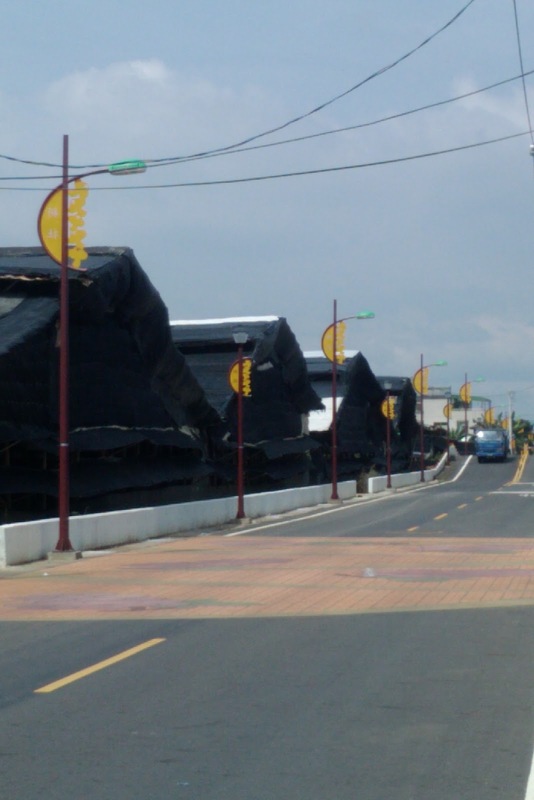 It promoted the town to people and the government decided to continue on the event. Below photos were taken in 2008. Each year, it will have different designs and flowers. I still remembered it was on Wendsday. My husband and I rode on our motor scooter. The traffic was so bad and we were also stuck in the traffic as well. Now, the situation has changed. The traffic situation gets better every year but there is still room for improvement. After the ride, as routine we went for my favorite desert shop on the way back to Taichung for shaved ice with sweet processed vegetables like yam, red bean, and taro and pearl which is made of flour. Sooooooooo delicious! My wife and I are returning to Taichung for a visit this July. 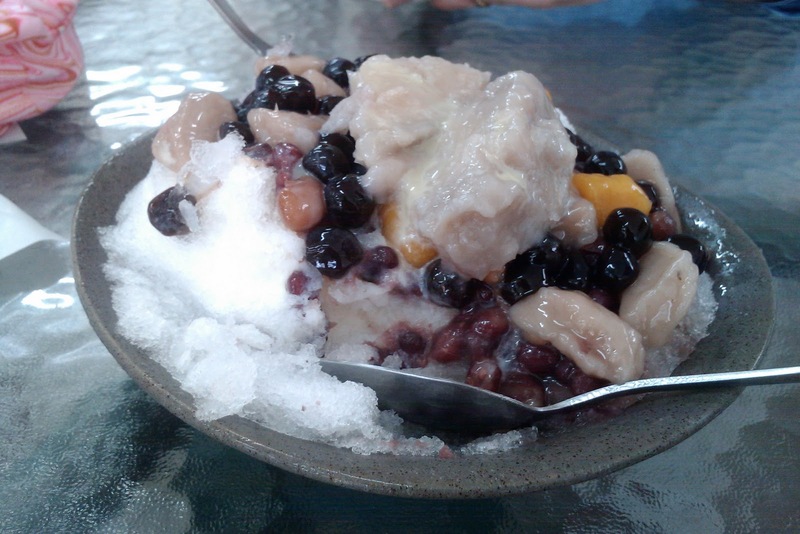 The weather looks hot, so that shaved ice looks really great. Where was the shop where you got that? Another treat we love is a sort of sweet soup made with sago and taro (I recall its called "I ren" or something - forgive my pinyin). You can find this shaved ice below which are famous in Taichung area. These stores are my personal choice. There are other stores also sell this style desert which can be found by any traditional markets. Have fun trip in Taiwan.